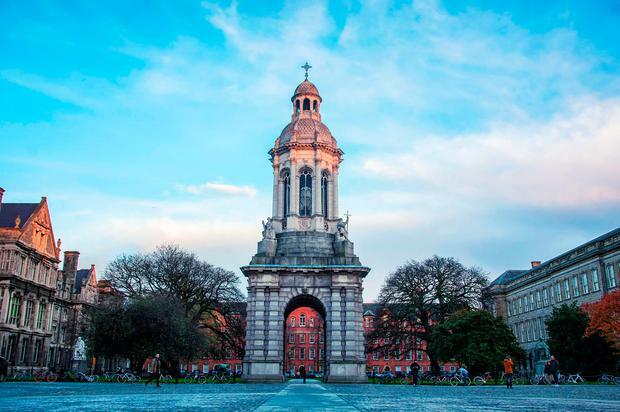 A change in the way Trinity College Dublin selects high-achieving Leaving Cert candidates for special recognition has spread the joy to a greater diversity of schools and students. The break with tradition in Ireland's oldest university meant students from 379 schools, including some in the DEIS scheme for disadvantaged communities, received an Entrance Exhibition Award this year, up from 245 in 2017. The awards celebrate Trinity entrants who achieved the highest points, subject to a minimum 500 and including bonus points for maths, in their school. Most schools had one awardee, but in the event of a tie between students from the same school, all received an award. Previously, the awards were made to students receiving 560 or more points (excluding bonus points). Under the old system, a small number of schools were predominant and there could be up to 20 students from one school, while other high achievers narrowly missed out. This year every county was represented. Trinity provost Dr Patrick Prendergast said the university was committed to encouraging a more diverse student community. He said he believed that tweaking the criteria was a small change that would have a big social impact. Students coming from other education systems, such as Northern Ireland or EU countries, must achieve the equivalent of 500 points as a minimum in their final exams. There was an even gender balance between the recipients, with 51pc of the 438 awardees being female and 49pc male.